A grappler is a piece of material handling equipment which can take on many shapes; however, all grapplers serve the same purpose of picking up and maneuvering large quantities of scrap materials. This kind of equipment is generally attached to the long boom or arm of a piece mobile heavy machinery, much like a backhoe. One of the most common types of grapplers is the claw grappler. The aptly named claw grappler has a series of curved metal arms that look like claws. This machine is controlled by an operator who can open and close the claw to lift and release loose material. 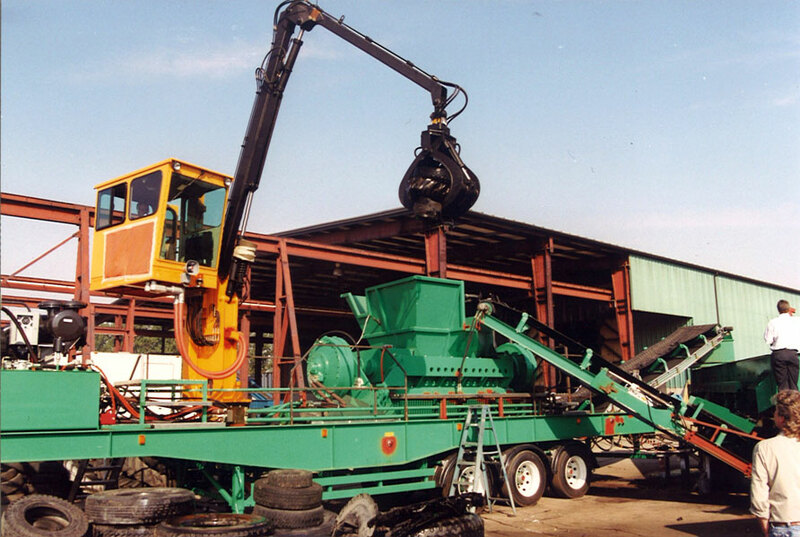 For recycling plants where metal is being handled, it’s quite common to use a scrap handling magnet, in place of a claw grappler, since this can easily pick up scrap metal using magnetic force. Grapplers typically use either hydraulic or electric force to open and close their lifting mechanisms. These lifting arms need to be very strong in order to clench heavy materials and safely lift heavy objects that could be found among the debris. A grappler can typically be purchased and added as an attachment to a backhoe or a similar piece of heavy equipment. This versatility keeps equipment costs low while still giving recycling facilities the implements they need to handle high volumes of recycled material. On the other hand, they can also be purchased as part of a complete material handling vehicle. Many material handling equipment manufacturers design and supply grappling vehicles specifically constructed for use in recycling facilities. These types of equipment are equipped with stabilizers to keep the vehicle from tipping over when lifting heavy materials.